It’s so exciting to reveal the first cover in a brand new series! A young thief. Outlawed magic. A heist that’s about to change everything. In a near-future city shielded from the destructive elemental magic that rages through the wastelands, seventeen-year-old Ridley steals from the wealthy and secretly gives to those in need—which is far less of a crime than the other thing she spends her free time doing: using magic. When the stranger who follows her home after her latest heist ends up murdered in the alley behind her apartment, everything starts going wrong. Her best friend is accused of the crime, and the guy who set him up is someone Ridley would rather stay far away from. Archer Davenport is heir to the city’s largest fortune. He represents everything Ridley hates—and that was before he landed her best friend in prison. He’s also the guy she just stole from. Though Ridley would prefer to keep her distance, she’s about to find herself spending a whole lot more time with Archer. Because that ancient artifact she just stole? Turns out it could unlock secrets that will put many lives in danger. Now Ridley and Archer will have to put their differences aside in order to uncover their true enemy and keep that information from winding up in the wrong hands. 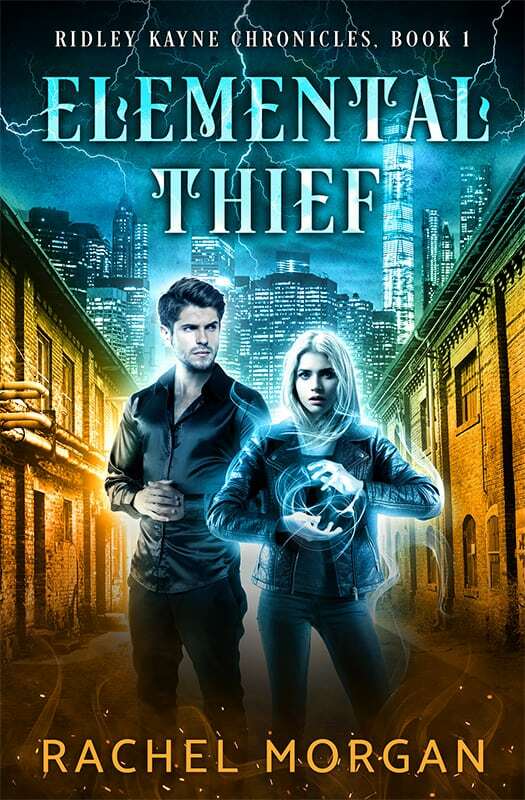 A brand new urban fantasy series with a dystopian flavor! Preorder now! Another series! Go Rachel, go!